“Bride” and “Groom” hanging signs are now available! 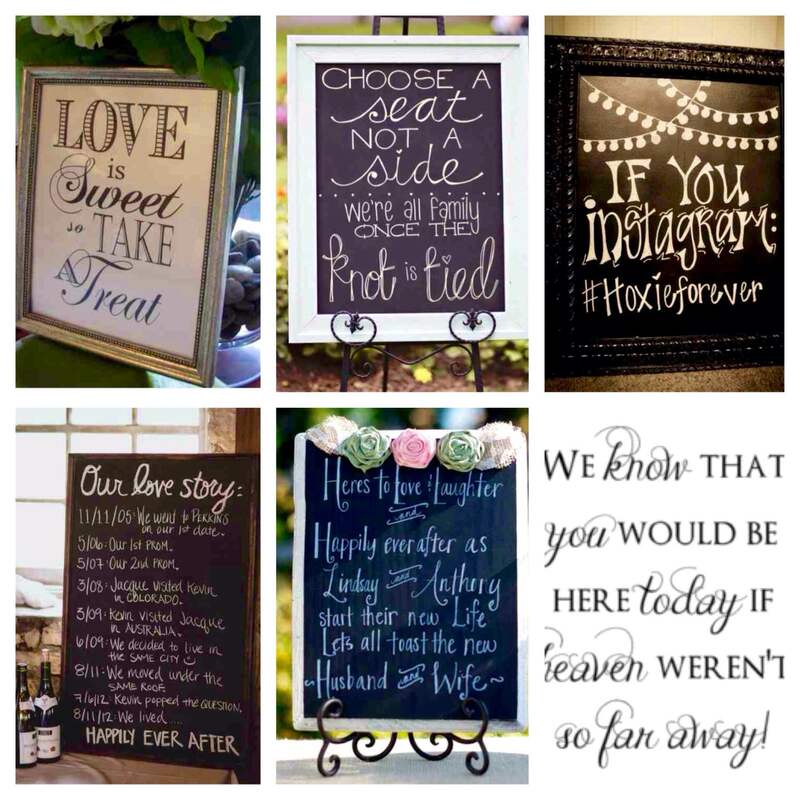 They look great hung from your chairs at your reception! On the reverse side they say “Thank” & “You”. They are perfect for taking a picture for your “Thank you” cards! To rent them, it is only $10 for the pair per day. This fee includes changing the ribbon to match your wedding colors! They can also be decorated with flowers. In November and December we will be adding more signs to our rental services, much like the ones pictured below. Keep your eye out on our next rental update! Contact us today to see if your wedding date is available!